So the route to the Euro2020 competition is known. Seems that Oranje, can make it this time to the Euro finals. Though draw against Germany in Group C. France and Italy are lucky. The problem with the Dutch is that they "always" seem to make it to the (semi-)finals and then drop the ball (figuratively). Ouch for whom? As mediocre as the German team is at the moment, the first two places which qualify for the finals should be quite easily secured by the Dutch and the Germans (in that order). Exactly that, most other groups it seems you have one assured (as assured as it can be) team that will move on with the second choice being a (more or less) toss up of the remaining teams. Group C it's basically assured who will move on. Normally yes, but these aren't normal times. The Dutch have missed the last WC and EC and Germany isn't the best team at the moment, to put it mildly. I agree. The only other group with an almost secure no. 2 would be F with Spain on #1 and Sweden on #2. The Dutch seem to have recovered to at least normal standards and Germany should be able to fend off Northern Ireland at any time. Why are Turkey and Kazakhstan in an European competition? And I never heard about a country called Kosovo. Because they are partly located in Europe and thus qualify. Ok, can't help that. 108 out of the 193 UN members recognize it. Now you have heard from it. You would have a point if you pointed out Israel isn't in Europe, not even a part of it and yet they can join the EC ( and Eurovisie Songfestival for that matter ). 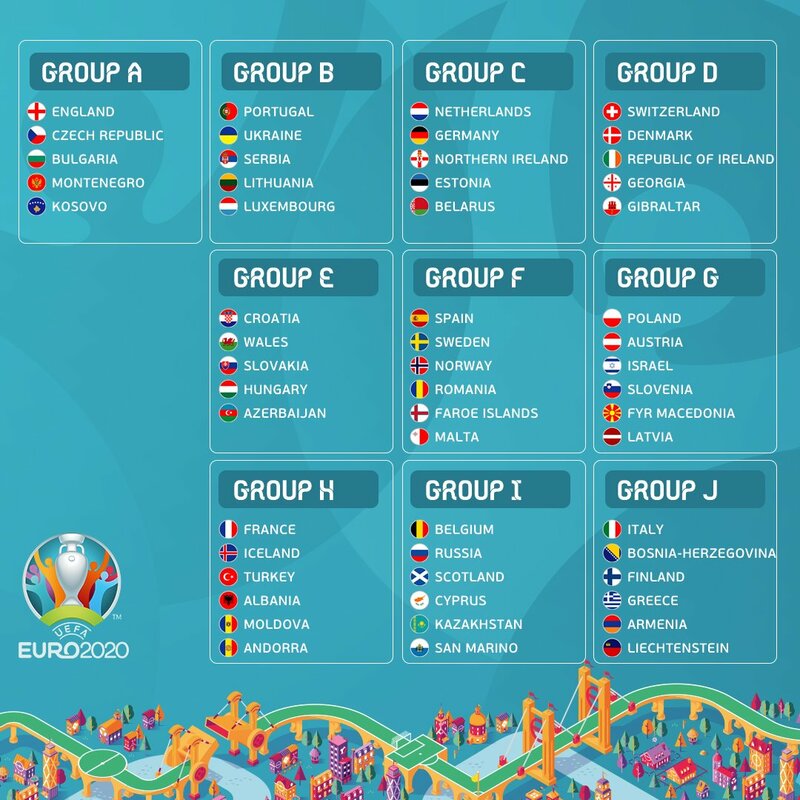 I will take Italy's group! 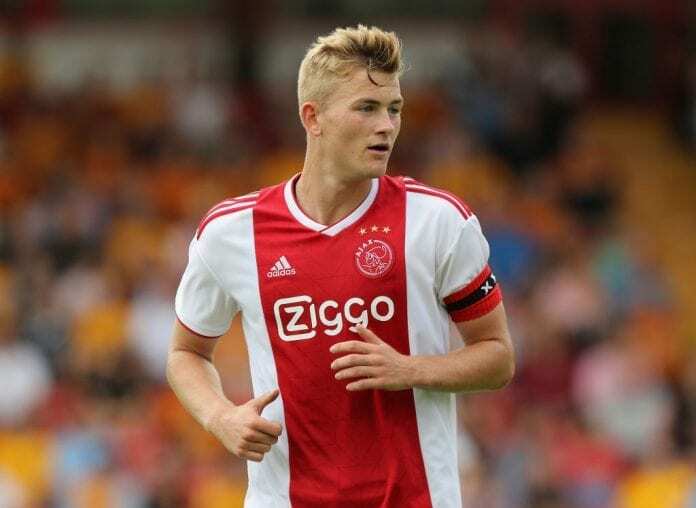 Matthijs de Ligt wins the 2018 Golden boy award. Turkey is a partially European country. So is Kazakhstan. The majority of their land may be in Asia, but they are split. Same goes with Russia, for that matter. And on the flip side, Israel is a completely Asian country.